Garage Door Repair Company Serving All Of Northwest Indiana. Affordable Garage Door, Inc. Since 1998.
reliable, and we make sure you’re satisfied with our service every step of the way. 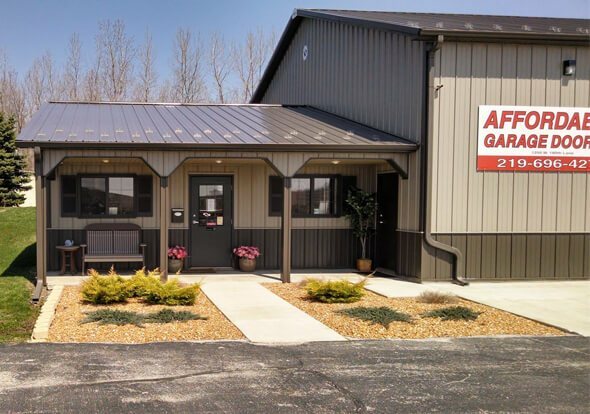 At Affordable Garage Door, Inc., you can always count on quality products and service at a fair price. installers are expertly trained to maintain our high standards. We install garage doors for new construction and to replace old doors. With Affordable Garage Door, Inc. you will always know what you’re getting for your money. Although they are often overlooked, a beautiful new garage door can greatly improve the look of your home. The right garage door can be the perfect final touch to help give your home a unique look and make it stand out from the crowd. At Affordable Garage Door, we carry some of the best-looking garage doors on the planet. Our expert technicians will install them with precision and care so your home looks nicer and your garage door functions better. 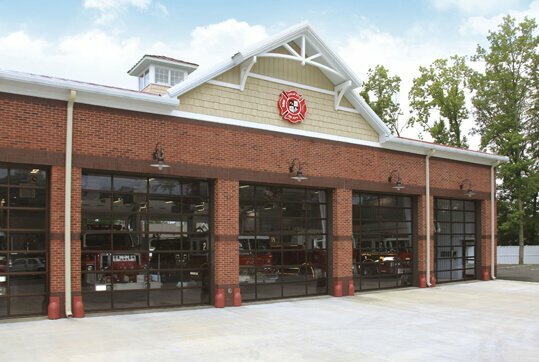 doors cover a wide range of applications. We Offer Free Estimates For All Of Your Garage Door Needs. "What a great job Bob and Robert did. They took care to make everything perfect and were super nice to boot. I highly recommend." "Excellent service and very professional. They came out the next day after we called. In addition to fixing the broken spring and bent track, they went over the entire door and tightened/lubricated all nuts and hinges. The price was very reasonable. I would highly recommend them for all your service "
"Very fast and professional service. I called and they came out the very next day to replace a broken spring." "My repair was not an emergency, so they came the day after I called, which still seems fairly prompt to me. The repairman was courteous and quick. It cost exactly what he said it would. Now my garage door works again!" "Very pleased with the service. The repairman was on time and he cleaned up the job site after he was done." "Working with Harry was a pleasure. We replaced two garage doors and the quote was very reasonable. I am very happy with my new doors and the professional job performed on time by Harry and his team!" "This is my second experience with this company. Very prompt, knowledgeable technicians, and very fair prices. Joe did the work this time and was very pleasant and professional. I like supporting local businesses and this one gets my A+++ rating!" "Excellent Quality Door and Excellent Workmanship on the Installation. Thank You! Tim and Joe. Tom Sherman 8-10-16"
"Quick response, fair price and good work! I would not hesitate to use their services again." "Harry contacted me right away to set up an appointment. His pricing came in well below the competition, and his products were superior. He was able to do the job right away. I would highly recommend him and his team!" "Called for service and they were out the same day. Fast Easy Friendly Fair pricing Knowledgeable"
"I have always been happy with prompt response and service!" "We had our garage door screen installed in March 2016 and absolutely love it. The screen door structure is well built and Affordable Garage Door, Inc. was great to do business with." "We received many quotes but felt most comfortable with Harry who was the one that quoted us the job. Harry came back and installed the door which we liked. He is very personable, professional and had a fair price. The door looks great and we have received many compliments. We "
"Prompt and friendly response, quick estimate. The garage door, opener, and key pad were all installed within 24 hours of my garage door being broken and less than 24 hours after I contacted Harry!!" are available to answer all your garage door and operator questions.